This sermon is preached by our very own, David Munoz (CBSM and Sparkman Sophomore). David is part of our KTL ministry group who goes through a spring semester class to learn how to preach and teach from all the Scriptures in a Christ-centered, gospel-grounded, and life-changing way. In this sermon, David is preaching Job 2-37 on how to get and give Christ-centered counseling. This is the kick-start to our series on the book of Job which is all about when you are going through the roughest and toughest afflictions of all of life. What are we to believe about God, Satan, and ourselves during those times? How can we respond in worship? This sermon is an attempt to answer those questions. Phillip McBryde (CBSM and Bob Jones High School senior) preached a powerful message on this passage of Job 38 – 42 “When God Laid the Smack Down”. 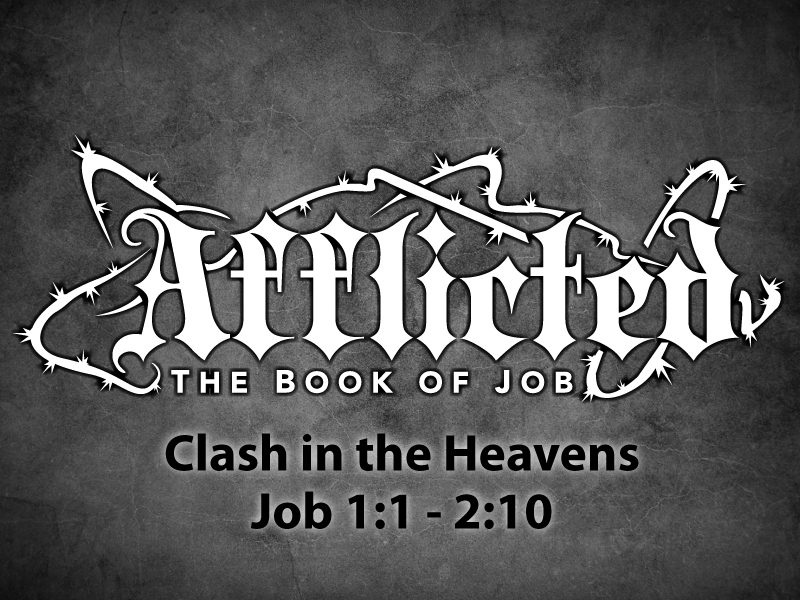 When Job goes through all his intense suffering and losing everything, God eventually lays the smack down on him, and rebukes Job not to ever wonder or question whether what God does is just. God is God. God lays the smack down so that Job knows everything that God does is for His own glory. In Hebrews 1:3, we see that the radiance of God’s glory is Jesus. So the way we give glory to God in our suffering is by bringing glory to Christ. Listen to PMac’s sermon, and understand this passage far deeper as well as how you can bring glory to Christ in your intense suffering. This sermon was preached by David Munoz, one of our sophomore students in our KTL ministry. We have been going over “how to preach” for the last 3 months. These KTL guys have probably put somewhere around 30 hours into their sermons. Can you imagine your first time ever publicly preaching to an audience of 125ish teens, about 20 adults, around 12 college students, friends and family present, video recorded for views on the net, and audio recorded for iTunes? No pressure, right?! As our first KTL preacher of 2010, David definitely stepped up to the plate and knocked a homer out of the park. 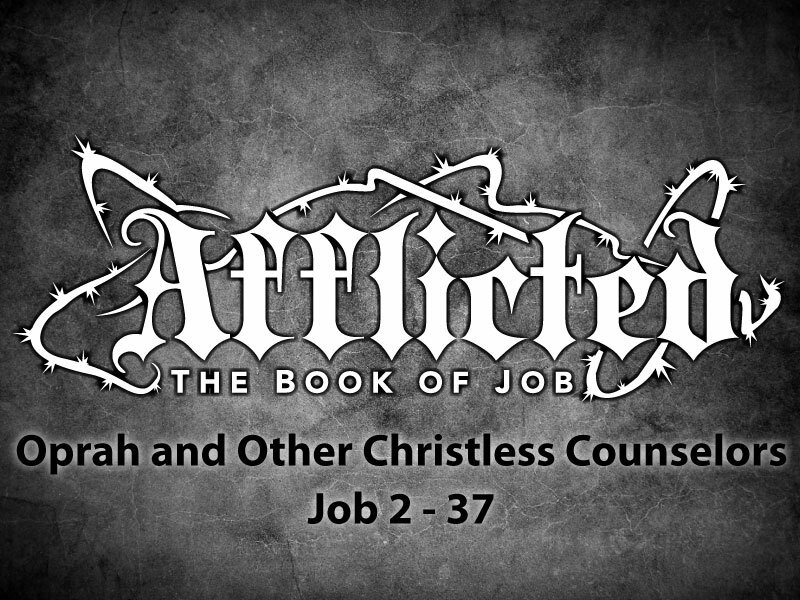 He challenged us on how to GET and GIVE Christ-centered counseling from Job 2 – 37. Its crazy how the release of the “Clash of the Titans” movie that was just released goes so perfectly with the beginning of the story of Job. When going through extreme suffering in real life as it happens, we must have a solid foundation of knowing who God really is, who Satan really is, and who you really are. The truth in the passage is that God sovereignly designs suffering for your spiritual strength. So, the challenge then is to endure suffering well by praising Jesus in your pain. Enjoy the mp3 and other free resources as we take a deep look into Job’s life and suffering and see how it points us to Christ, and how we apply it to our lives.